I’ll be the first to say goodbye to September. 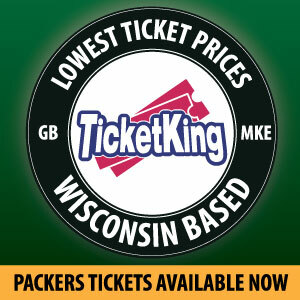 It means the Packers rip off the “preseason training wheels” and show if they belong in the NFL playoff conversation. Let’s look at the playoff checklist. Packers defense showing promise? Check? Call it what you want, a running back by committee. 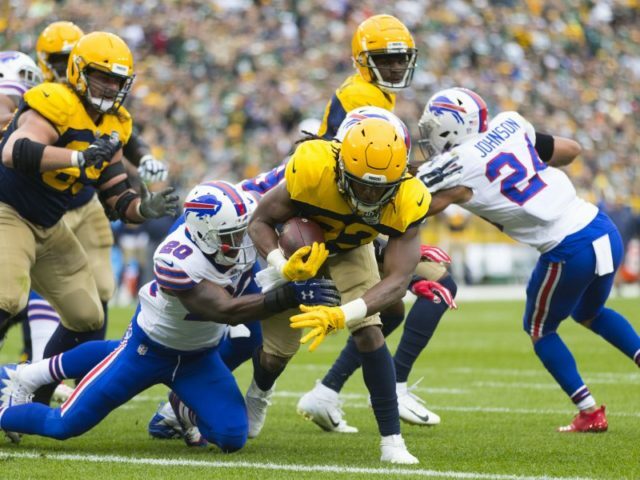 Ty Montgomery and Jamaal Williams showed promise, but it is too sporadic. Montgomery was handed the ball five times, Williams 11-13 times. That’s not going to cut it. This is the week that head coach Mike McCarthy and offensive coordinator Joe Philbin have to unleash Aaron Jones. Understandable that Jones is working his way into game shape because of the two-game suspension. However, Jones has this rare mix of speed out of the backfield and punching his way through opposing defensive lines and move the chains. At Washington: 6 rush 42 yards, seven yards per carry. Last week vs Buffalo: 11 rush, 65 yards, a touchdown and 5.91 yards per carry. One of the big reasons that the offense was pushing their way into field goal range leading to the 22-0 victory (still can’t believe I saw a shutout). Up next is an October battle with the Detroit Lions at Ford Field. Rodgers’ career at Ford Field is 6-2 which is a great omen, but what stat is even better is two glorious words. Dead last. The Lions’ porous rush defense is 32nd in the NFL averaging 157.8 yards per game. Lions gave up 152 yards on 25 carries last week in Dallas. It is the perfect time to bring out the Roadrunner out of Texas-San Antonio to have a breakout game. Think about it, wouldn’t it be sweet to let Jones turn the Lions into the Coyote out of Looney Tunes who suffers from Acme’s poor customer service? I sense your smiles, Packers fans. Rodgers is healing quicker than expected from his knee injury, the receiving core is banged up with Randall Cobb not practicing this week, Davante Adams (calf injury), and Geronimo Allison (concussion protocol). The offensive line had their best game yet especially watching Byron Bell finding his groove at right guard to open up the A and B gaps nicely for Jones. Yes, I said that with a straight face. Let me close out with a classic quote from Super Bowl XLV. You know what I am talking about? Linebackers coach Kevin Greene says to linebacker Clay Matthews telling him “It is time.” It was time to make a play and help lead the Packers to their fourth Super Bowl victory. It is time…to unleash Aaron Jones this Sunday. This entry was posted in Authors, Jake Turner, Packers 2018-2019 Season and tagged 2017 NFL Draft, 2018 Packers Offense, Aaron Jones, Football, Green Bay Packers, mike mccarthy, Packers. Bookmark the permalink. Sounds good in theory, but the running game always plays second fiddle to the passing game for the Packers. Jones is not from Texas-san antonio.